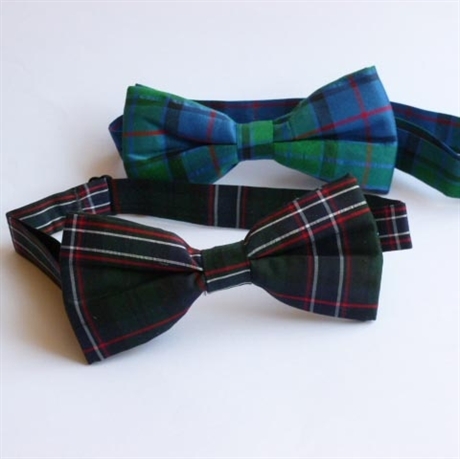 Ready-tied and adjustable, wing collar bow-tie, available in over 60 beautifully crisp textured silk tartans. Ideal accessory for Scottish occasions, weddings, Burns Night. Excellent gift. Also offered as a set with matching Silk Cummerbund. Made to Order. Made in 100% Dupion Silk Tartan. Can't find your tartan? Email us please!